Your resource for all things shoegaze and dream pop: Interview: deardarkhead. 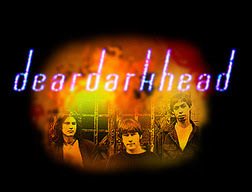 Formed in 1988, deardarkhead are a trio based in the Atlantic City, New Jersey area consisting of: guitarist Kevin Harrington, drummer Robert Weiss and bassist Kevin McCauley, who came on board during the fall of 2010 after the departure of longtime singer/bassist Michael Amper. The band takes its name from an anonymously written Irish poem of the 18th century Cean Dubh Dilis, about a beautiful girl with black hair. 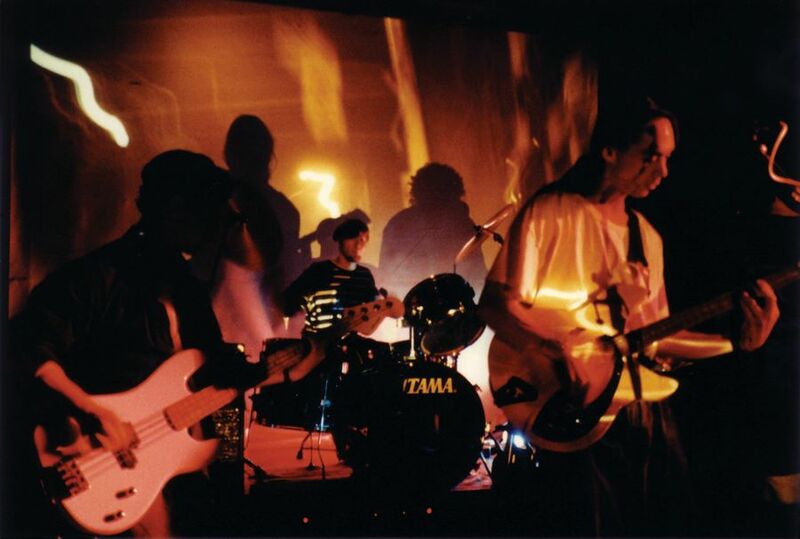 The group’s sound is openly and proudly Anglophilic, combining both elements of the blissout shoegazer scene and a slightly older vein of post-punk guitar experimentalism, making a rich combination between the two influences. Words like "atmospheric", "ethereal" and "dreampop" are often used to describe their original guitar driven, psychedelic storm of sound that balances moody textures and shimmering melodies. 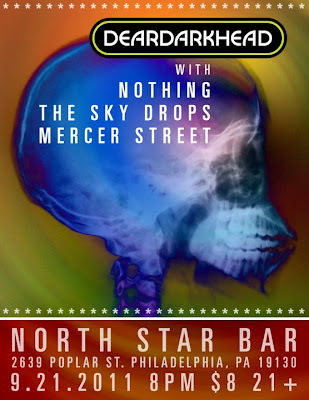 They have played with the likes of Supergrass, The Psychedelic Furs, Everclear and The Lilys, to name a few. 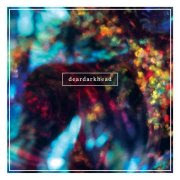 deardarkhead has released five recordings since their formation on their own Fertile Crescent Records label. Their music has also appeared on various indie compilations from the USA and Japan. 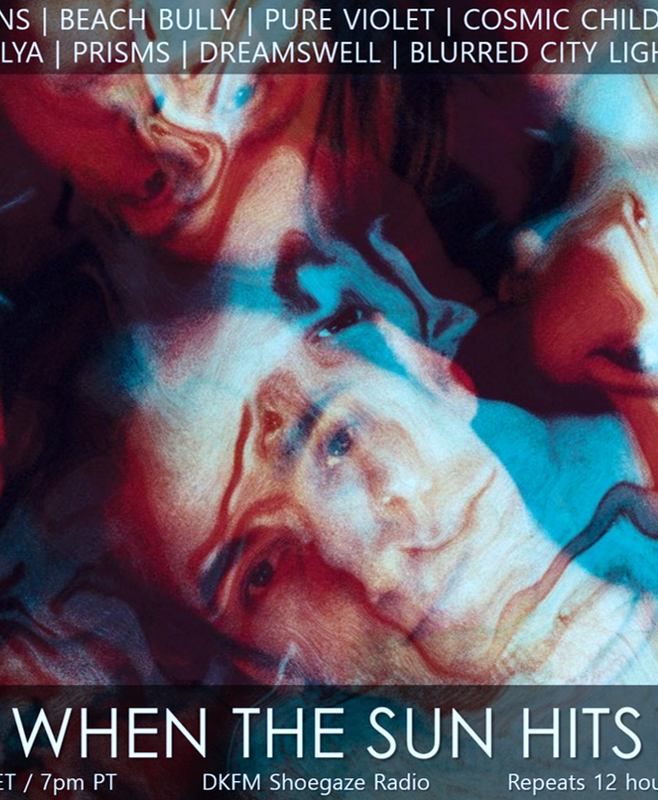 When The Sun Hits is proud to present to you an interview with Kevin Harrington, Robert Weiss, and Kevin McCauley of deardarkhead. 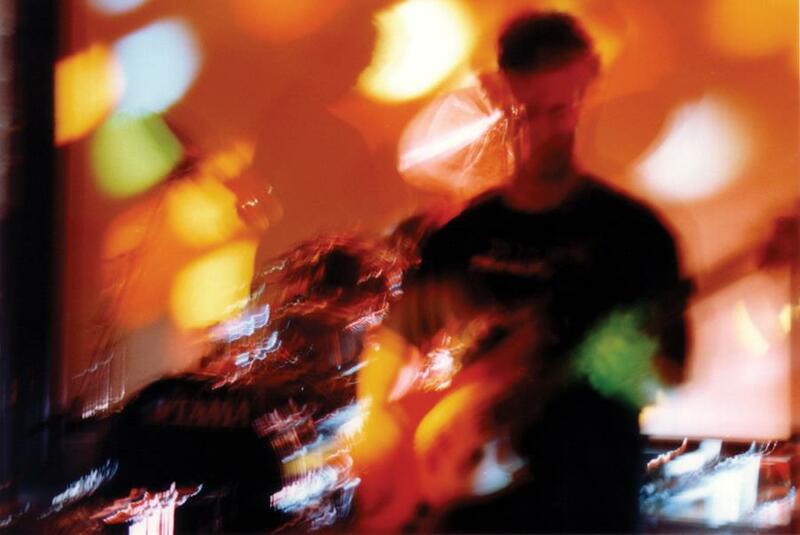 The band simultaneously represents the very best of the classic shoegaze movement and the contemporary one - their sound is timeless and beautiful. 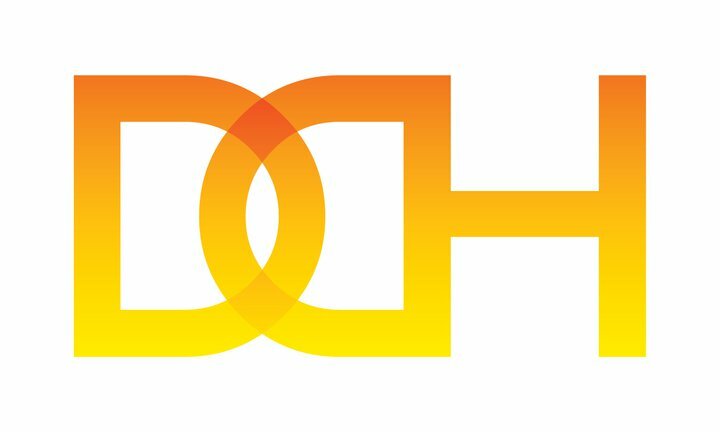 If you haven't heard of deardarkhead yet, now is the time. 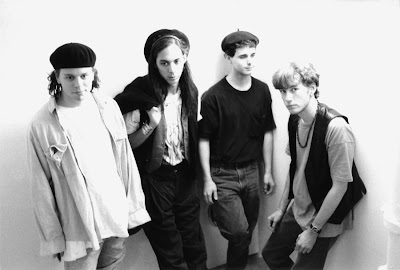 Rob Weiss: I started deardarkhead in 1988 (after my first band Aslan's Pride broke up) with friends: Kurt Douglass (guitar), Blakely Parent (guitar and vocals) and Josh Minor (bass). Our first recording was a 7 song demo tape called "Greetings From The Infernal Village" which we recorded by ourselves on a 4 track. We all had very similar taste in music. We wanted to sound like the Jesus and Mary Chain meets the Cocteau Twins...dreamy yet noisy. I think there's also a strong Cure, Bauhaus and Joy Division influence on those early songs. After that we went through some personnel changes, but have had fairly stable lineups over the long haul. Michael Amper joined the band as our vocalist around 1990 and also played keyboard, bass and guitar...he left at the end of 2009. 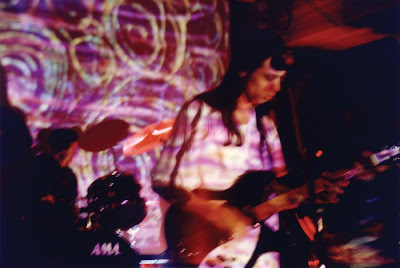 Blakely moved over to bass after Mike joined and was with us until 1994. Kevin Harrington became our guitarist after Kurt left in 1992 and has been in the band ever since. Kevin Harrington: This is kind of a funny story, to me at least. As Rob had stated, Blakely was part of the band. Well Blakely and I actually graduated from high school together. I remember meeting Blakely for the first time and he told me about being in a band. He went on to tell me that he was in this band, kind of like the Cure and that they may be the next big thing and that he may not be here tomorrow. Well, my friends and I looked at each other, laughed and walked away. I thought it was pretty funny at the time, however the memory stuck with me for some reason. We eventually became friends at school, but I never saw him after graduation. Imagine my surprise when I auditioned for DDH and there was Blakely! Needless to say we had a few laughs about it! It's funny how things work out. Rob Weiss: Currently deardarkhead has been playing out live as an instrumental three piece consisting of: guitarist Kevin Harrington, myself on drums and bassist Kevin McCauley, who came on board during the fall of 2010 after the departure of our longtime singer/bassist Michael Amper in 2009. We are still seeking the right person to take over on vocals but we've been having a hard time finding a good fit. Prior to Amper leaving, we had been in the process of working on a new recording, which he was engineering. It's currently in limbo 12/for the moment, but we would like to finish things up and release it at some point. It's mainly an issue of funding and getting things to sound correctly. Also Captured Tracks from Brooklyn is putting out a retrospective of our early material called Oceanside:1991-1993, which will be released at the end of November. 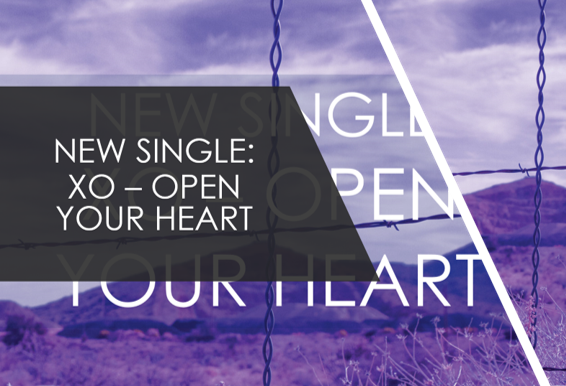 We're very excited to have those songs exposed to a new and larger audience. Beyond that we've been working on new material and would love to get some of that recorded and released...so if there are any labels out there that might be interested, hit us up! Rob Weiss: So many great bands out there! Ringo Deathstarr, The Depreciation Guild, The Pains of Being Pure At Heart, Ulrich Schnauss, Blonde Redhead, Pinkshinyultrablast, Nothing, The Sky Drops, Black Rebel Motorcycle Club, Wild Nothing, Exit Calm are a few favorites that come to mind. Kevin Harrington: I think it's great that there are so many modern shoegaze/dreampop bands to check out these days. Ulrich Schnauss, Destroyer, The Mercury Program, MGMT, Passion Pit, The High Violets, Helen Stellar, Wild Nothing are some bands I've been listening to lately. Kevin McCauley: I agree with Rob, there are so many great bands. The Sky Drops, Nothing, Mira, Chapterhouse, Morpheme...all bands I can listen to over and over and each time I hear something new. Rob Weiss: The guitars and the effects are a huge part of our sound. It's something we spend a lot of time on. I use Tama drums and Paiste cymbals primarily. When I'm writing and recording demos I use a Japanese reproduction Mosrite Ventures guitar. Kevin Harrington: That would definitely be my Digitech 2101 artist. It allows me do pretty much whatever I need or want to do sound wise. Our songs rely on major sound changes from section to section for different dynamics. I spend a lot of time on the sounds for each song to keep it interesting. Once I have everything programed for each song it's great, I just power up and we're ready to go. I've been using the 2101's for all our live and studio work since 95-96. They've been out of production for quite a few years now so I have to be careful with them. I'm powering that with a Mesa Boogie 50/50 which allows me to send everything out in stereo. I've used a variety of guitars over the years; a modified Ibanez Roadstar, a Gibson 335, a 12 string Fender Strat, a modified Squire Strat, an Ibanez Iceman (Paul Stanley of course), and recently a modified Les Paul Pro. Kevin McCauley: The effects and the textures they create are definitely integral to our sound. When I first joined the band, I was just using a severe amount of compression on the bass but more recently have been experimenting with a multi fx processor. As for my bass itself, it is a Fender Mark Hoppus Signature Jazz Bass. It is not the most well behaved bass guitar, it has no tone control so it requires some special attention with my amp's eq, but the sound is really unique as basses go. deardarkhead. One of a Kind. Rob Weiss: Most of our recordings have been done with as little studio trickery as possible. We go in and try to do a song in a few takes as if we were playing a show. We do the occasional over dub as needed if we really like a take. The vocals are usually redone after the music, just to get a better isolated sound. We have mainly recorded on reel to reel tape, but the last thing we were working on was all digital, using a Mac with Logic Pro. There are certainly many benefits of working digitally. Once you have a recording down there are practically infinite options for the production. That said, I don't think there's a right or wrong way to go about it. It's really an individual choice that each band needs to make. Trying different things is the best way to educate yourself. Rob Weiss: The internet has obviously been a huge game changer, both for good and bad. The upside is it's easier for an artist to get their music out there now. Music fans can be anywhere and use the net to find out about super-obscure bands. The downside is that it's very easy to get lost in the crowd with so much music being out there. Also I think people aren't willing to spend as much on music as they used to. Record stores are having a very hard time these days. Rob Weiss: It's always great when a label is willing to put money behind a good band, but the main thing is that the music gets out there. We've put out all of our releases on our own, so being unsigned shouldn't prevent you from making music. Rob Weiss: I used to work in record stores for a very long time, so I'm a bit of a junkie when it comes to music! I like all formats, but these days I do tend to listen to MP3's, but mainly out of convenience. Being a graphic designer I like vinyl and cds for their sleeve artwork possibilities. Digital formats are great for their ease of use. After you start getting a large collection, storage becomes an issue. I'll always have a soft spot in my heart for the physical format. I spent a lot of time traveling to cool record stores back in the day so I have lots of fond memories. The internet certainly has made it easy to track down just about anything you could ever want, but perhaps some of the romance is gone. Kevin Harrington: I've been listening to MP3 format the most lately, I have to say that for me it's the most convenient format. Cd's are still great thought, I've all ways liked reading the liner notes and seeing the artwork. Kevin McCauley: MP3 format with really good headphones...you hear so much more of the music. Rob Weiss: On some level everything I hear influences me. My biggest influences on starting the band would be: The Cocteau Twins, The Cure, Echo & The Bunnymen, U2, The Police, The Chameleons, Joy Division, Dif Juz, The Jesus and Mary Chain, The Church, The Psychedelic Furs, The Beatles, 4AD Records, Creation Records, Factory Records. Kevin Harrington: I like to think that everything influences me a little but the biggest are: The Cocteau Twins, The Kitchens Of Distinction, The Church, Slowdive, Curve, The Chameleons, The Cure, Lush, Adorable, Jane's Addiction, Catherine Wheel. Kevin McCauley: Ironically, it is a lot of the same music I listened to in high school and college; music that I didn't even know were part of a specific genre. I just listened to it because I liked it and related to it...The Jesus and Mary Chain, The Cure, Rites of Spring, Lush, Slowdive. More recently I would say Oasis, Radiohead, the Dandy Warhols, and The Verve. Rob Weiss: Lately I've been reading the manga series Akira. I listen to a ton of music, but some of my heavy rotation favorites currently include: Washed Out, Tycho, Wild Nothing, Ivy, Blouse, Dum Dum Girls, The Joy Formidable, Tame Impala, Kaiser Chiefs, Ringo Deathstarr, Secret Shine, The Horrors and lots of 60's bebop. I recently watched the film Kuroneko (a Japanese ghost story) which I really enjoyed. I'm also looking forward to picking up the new Haruki Murakami novel 1Q84. 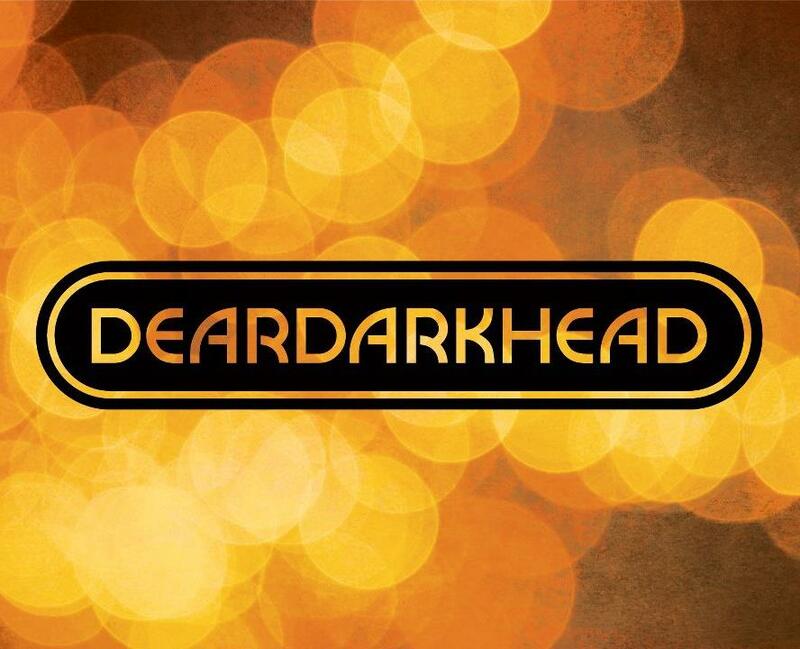 If you had to choose one deardarkhead track that was the ultimate definition of your sound, which would it be and why? Rob Weiss: That's a tough one! I don't think I could narrow it down to just one song after 23 years. Probably whatever our latest song is at any given moment. Kevin Harrington: That's hard to say. We've sounded different through out the years, it has evolved and captured what we are at that time. That being said, I do have many favorites! Rob Weiss: Most bands tend to have one or two primary song writers. We've always been a bit different in that department. Throughout the history of the band, everyone has written and contributed songs and/or lyric ideas. 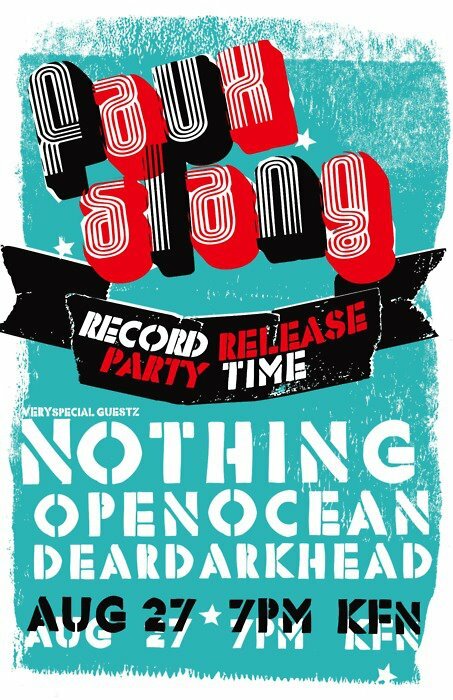 Sometimes one person will bang out an entire song by themselves and other times we'll build the song off a riff, a chord progression, a bass line or even a drum beat. We really don't have a fixed way of writing. We are willing to try different things and come up with songs that everyone feels strongly about. Lately I've been demoing all my ideas in Garageband, which I find incredibly effective and expedient for developing new songs. After that I send the rough sketch over to the rest of the group...from there we really refine things with the arrangement and the sounds/textures. By the end of the process everyone has contributed to get the song where it needs to be...it's a very intuitive, organic process. We really just try to entertain ourselves to create what we feel is interesting music. Kevin Harrington: It's been different for each song, which has been nice. Some ideas develop very quickly, other times, not so quickly and we're ready to kill each other, just kidding. No matter what the process, we've worked well together and have had fun doing it. We've been lucky to have had so many great songwriters in the band over the years. Rob Weiss: I think the Golden Rule pretty much sums it up for me. Also I believe it's important to try and add to the world in a positive way. I've always felt that being an artist is a noble pursuit. Kevin Harrington: Work hard, good things will follow. Kevin McCauley: Surround yourself with talented and creative people. Take interest in the world around you. Live don't just exist. Thank you for interviewing us. Cheers!